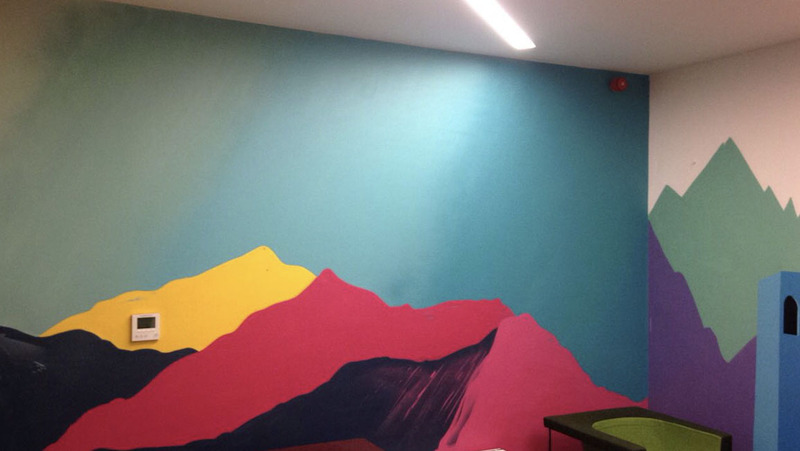 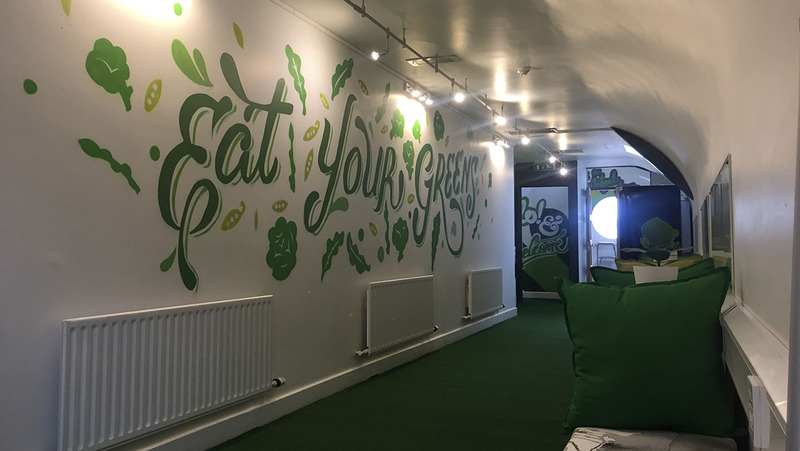 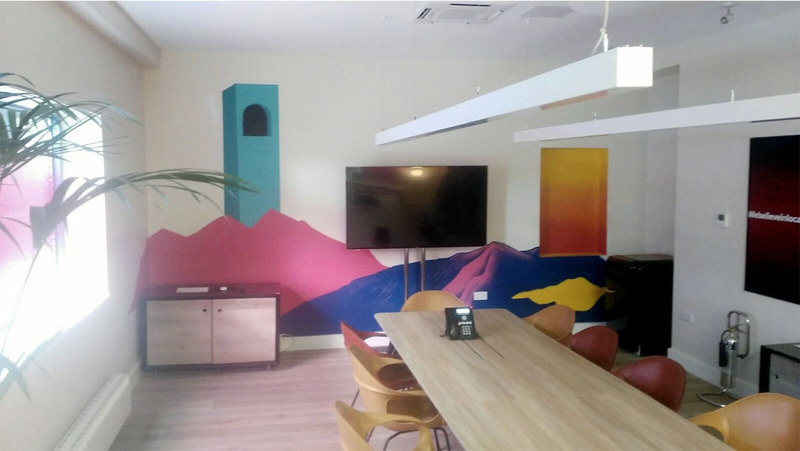 The DDFH&B offices were feeling a bit stale so our team swooped in to give the place a colourful makeover. 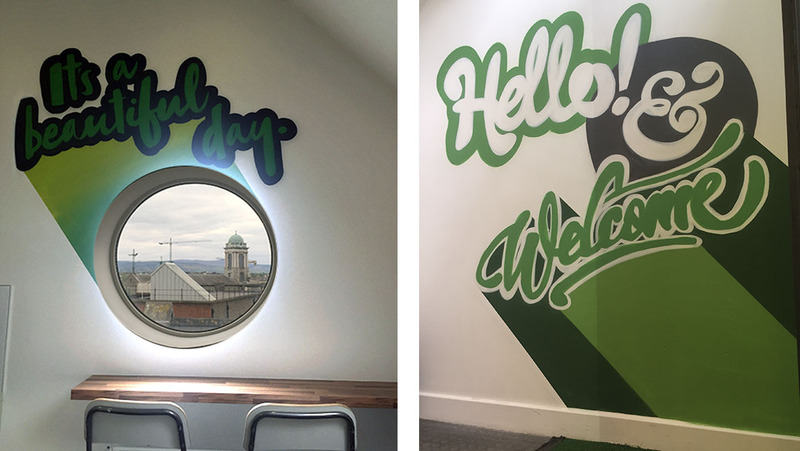 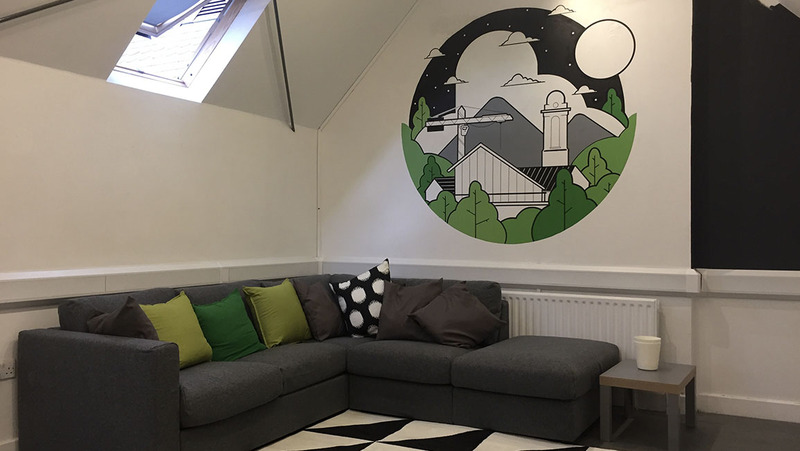 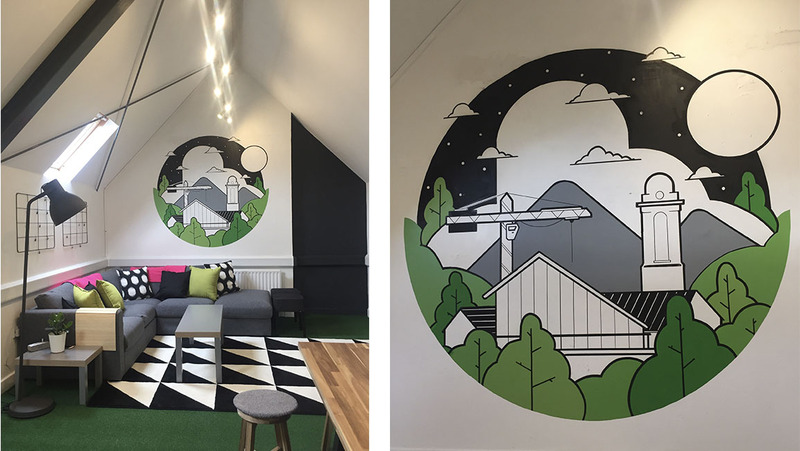 The top floor was treated with a green on green theme with the focus being on a piece inspired by the view of the Liberties from the circular window at the opposite end of the room. 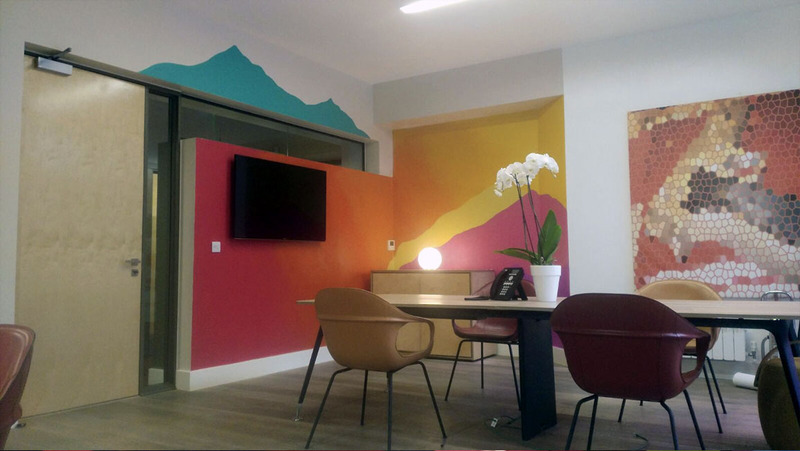 We also took their reception and meeting areas and gave them a rainbow filled abstract landscape to bring some life to once dull walls.